Zandalari Empire is now Shadow of the Empires! Click here to be redirected to the new website. 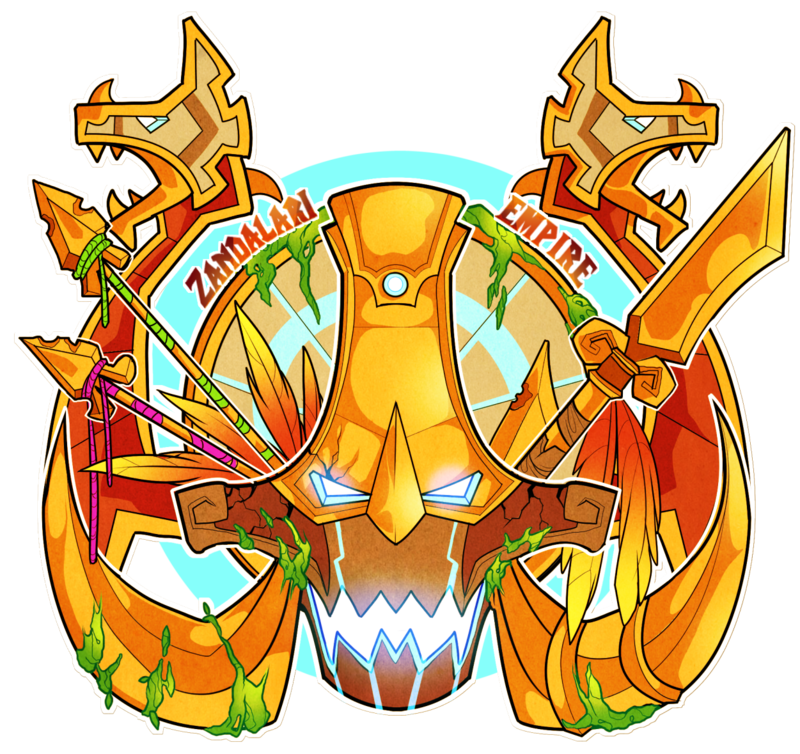 Zandalari Empire, non-horde guild open for the many trolltribes of Azeroth, has changed name - and website! Founded in 2013, the guild was named after the Zandalari's efforts to reunite the trolltribes. With the release of BfA in 2018 the name 'Zandalari Empire' is used for the faction of (eventually Horde-loyal) Zandalari, and Zandalari only. We unfortunately feel the name no longer represents us as a guild - and are now known on the server as Shadow of the Empires! You can find us ingame on Argent Dawn EU, and for applications visit www.shadowoftheempires.com. Hope to see you there!